The State Meet didn't quite work out as planned for this Panther standout, but we're expecting that to change this season. Brogan was one of our most talent underclassmen last year. As a sophomore, he placed second to Mansfield's Kalin Petrov at the Hockomock League Championships where he clocked a sub 16-minute time of 15:58.82. Brogan also was 14th at the Eastern Massachusetts Division 1 race where he was timed in 16:16.12. He was also fourth in his race at the McIntyre Twilight Invitational. The talented runner excelled in the mile during the track season where he was a top five finisher at the indoor state meet and New England's and continued to impress on the outdoor surface by running an all-time best of 4:17.34 to take fourth at the states, a 12-second improvement from what he accomplished as a freshman. 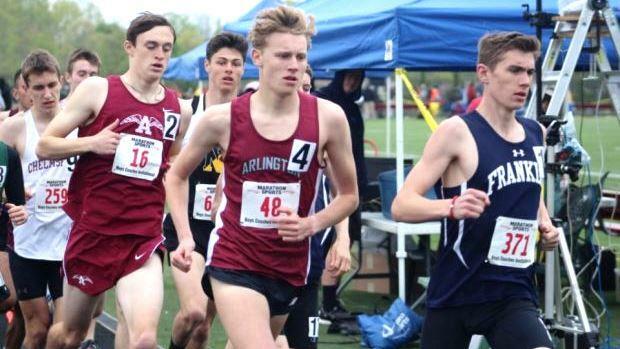 Brogan has proven to be a gritty competitor against his rivals and we're expecting another year of XC under his best and his recent success on the oval will translate to some big things on the trails this fall.